​At the best of times, Moussa Sissoko has been a hugely frustrating player at Tottenham since arriving for £30m in August 2016. He hasn't always been the most popular figure, partly because of sub par performances but also because he was often a scapegoat. But it all appeared to change at Selhurst Park in a 1-0 Spurs victory, in which Sissoko put in an excellent performance. The Frenchman was unlucky not to be named man of the match, with the award going to goalscoring centre back Juan Foyth. At full time, chants of Sissoko's name were ringing around the stadium as he embraced the fans. It was a moment which seemed to signify a fresh start for a man who had apparently ran out of chances with the Tottenham faithful. It was a similar story on Wednesday night after Sissoko played a vital role in setting up Christian Eriksen's winner against Inter in the Champions League, driving at the Italian side's defence before popping it off to Dele Alli, who in turn teed up Eriksen to smash home. One person who never gave up on Sissoko was Spurs manager Mauricio Pochettino and his trust has been repaid with consistent performances of late from the midfielder. This patch of form couldn't have come at a better time for the team, with mounting injuries in the midfield area. The likes of Mousa Dembele, Victor Wanyama, ​Eric Dier and Harry Winks have all missed matches through injury this season and at some points Sissoko, who himself has been injured, has been the only fit senior midfielder. Yet he has been able to soften the blow for Spurs and has been a significant factor in keeping them in the top four in the early period of the season. While this shows how he has been a fix to Tottenham's short term problems, his presence in future seasons could be even more crucial to their success. For some time now, ​Mousa Dembele has been one of the best midfielders in the Premier League with a unique mixture of power and skill but at 31 his powers appear to be waning. There has also been speculation about him ending his stay in north London at the end of the season. A look at some of the players the club has had reported interest in indicates they are trying to prepare for this by finding a long term replacement. Lyon's Tanguy Ndombele has been heavily linked with a move to Spurs, but there aren't many players who can match Dembele's skill set as well as Sissoko. Both players are powerful runners with the ball and are able to lead attacks by driving through defences, often picking good passes. While neither are prolific scorers, they make up for it defensively with the ability to break up opposition attacks. Sissoko is one of the closest matches to the Belgian and luckily for ​Tottenham he is already at the club. When Dembele's time at the club is over, alleged 'flop' will be the ideal replacement and hopefully for Spurs he will be able to replicate the fine form he has shown in recent weeks over an extended period. If he can, the Lillywhites will not feel much of a drop off and will be able to remain playing at the high level they have sustained in the last few years. 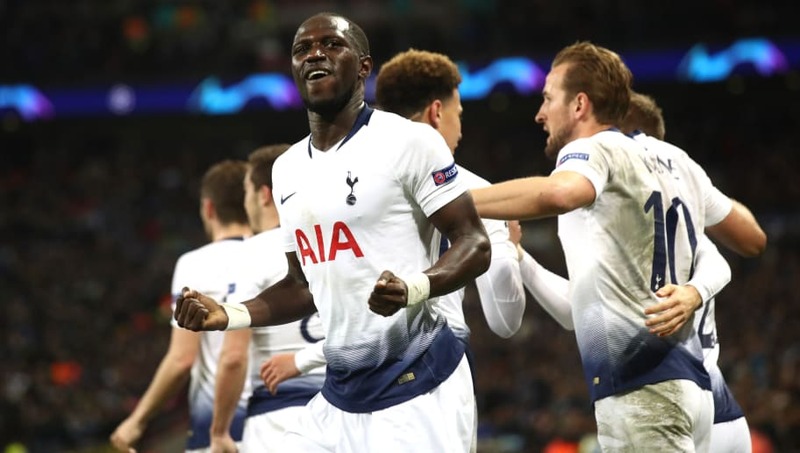 Sissoko could be the answer to both Tottenham's current injury crisis and their search for a Mousa Dembele replacement, something most Tottenham fans wouldn't have believed a couple of months ago.